Am I the only one who finds the infamous Nike slogan, ‘Just do it’, a touch irritating? When I see or hear it I start chuntering away to myself; ‘Yes, yes, I would if I could’ or ‘If only it were that simple’. So why is it so hard so much of the time? 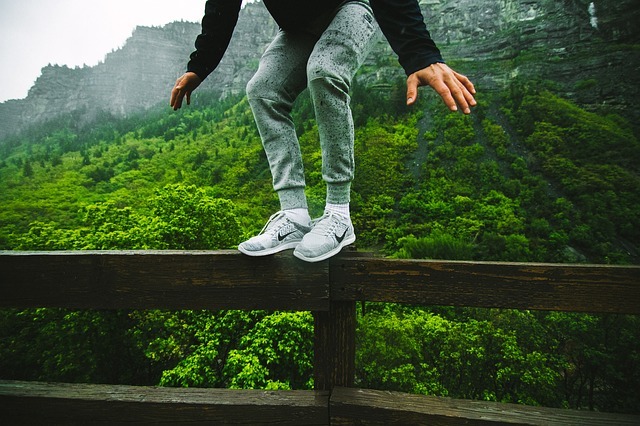 Why do we avoid doing the things that we know would be good for us or for our business, money, health and other areas of our life? Or start things with such great intentions only to let them fizzle out a little way down the line? For about 6 months I’ve been urging myself to update my blog and add some articles about money and coaching and mindset. And for that same amount of time I’ve been avoiding it. And when I asked myself ‘Why?’ I couldn’t come up with a logical answer. It just didn’t make any sense. Of course, I’m not alone here. Wendy, one of my Tapping into Wealth clients, confessed that she had been meaning to make a Youtube video for ages, to help promote her business, and just kept putting it off, always finding ‘more important things’ to do instead. Her frustration at herself was palpable. And David, another client, had been resisting submitting the last case studies needed to get his final certification which would help him launch his business. Both of them had tried over and over to ‘just do it’ and were feeling angry and disappointed with themselves. So why do – or rather, don’t – we do it? Here’s why. It’s all to do with the power of the subconscious mind. You see, the subconscious mind, which was largely developed between 0 and 8 years old, controls 90 – 95% of our thoughts, feelings and behaviours. And its main job is to try and keep us safe, and to make sure that we live according to our most fundamental beliefs about ourselves and the world. For example, if you had an experience when you were younger that left you feeling ‘not good enough’ or like a failure, or embarrassed or frightened, then your subconscious – because it’s controlling 90 – 95% of your behaviour – is going to cause you to steer clear of similar experiences. It’ll go into red alert if it suspects that they might be even a little bit the same. Well, through procrastination, self sabotage, playing small, indecision or bad decisions, inaction, lack of motivation, lack of self promotion – in other words it’s going to make sure that you take the actions that support your underlying beliefs and make them constantly come true for you, and don’t take the actions that would prove these beliefs to be false. Of course that only leaves only 5-10% for willpower, rational, logical thought and ‘Just do it’. So what can we do, apart from just muscle through or do nothing, which are what most of us end up doing? 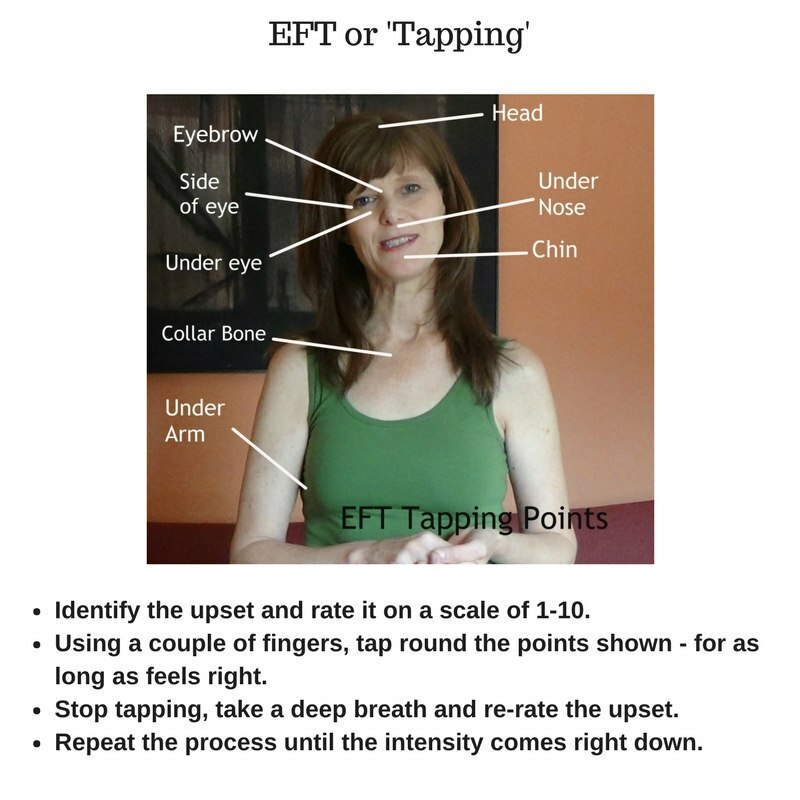 Try this exercise – which I call Tantrum Tapping – and you’ll see just how effectively EFT, or tapping, reduces resistance and stress and difficult emotions. Think about what you are avoiding and how you feel about it. Rate it- and the emotions and physical feelings it brings up – on a scale of 1-10. Using the words below, tap round the points shown in the photo, until you feel yourself calming down. Take another rating and repeat as necessary. I absolutely refuse to xxxxx. I’m tired of being told what to do. I’m tired of being told what’s good for me. I’m tired of being told to ‘Just do it’. I’m not going to do it and that’s the end of it. You can’t make me and I’m not going to. Take a deep breath and see how you are feeling. Most people say that they are calmer and less emotionally strung up, maybe by 1 point, maybe all the way. Remember to repeat if you are still riled. The fact is, and it is all so counter-intuitive, by giving your inner 5 year old a voice (at last) you are going to see miracles happen….I know, I just wrote 3 blogs in 2 days! …And if you need help….just ask!